Summer days are just wonderful! We have been enjoying some gorgeous days here lately & I am just soaking it up!!! I can’t believe we are almost to August! Summer always goes too fast, but I am going to enjoy every day of it while it is here. I finished that 12 week upper body strength program that I was following 2 weeks ago. Now Will has written a new program for me & with last week being my 1st week of it, I was one sore chica! 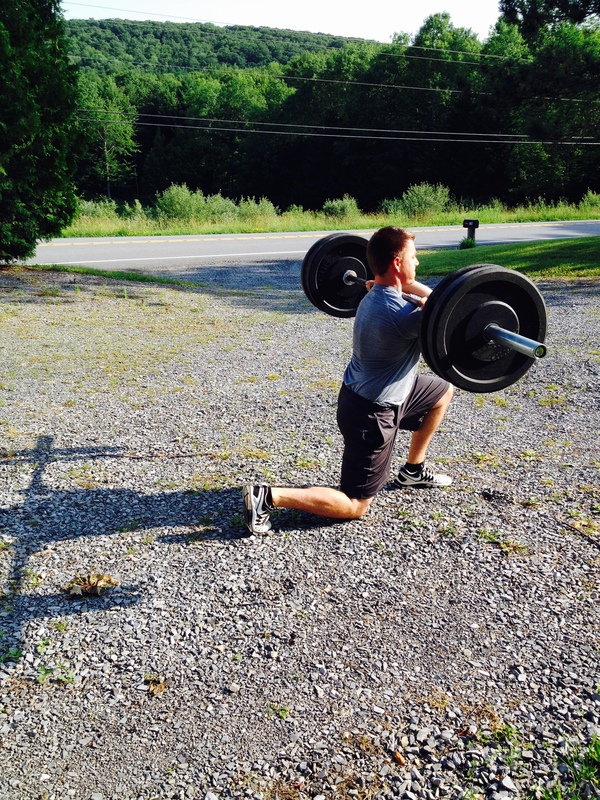 Can I just brag on my husband for a minute…he really knows what he is doing when it comes to fitness! His knowledge is much greater than mine!! I am really excited about his program & was already feeling (despite the soreness) really great last week! Pregnancy status= getting bigger & slowing down more. I am determined to continue to keep going because I am afraid that if I would stop, it would be so hard to start again. 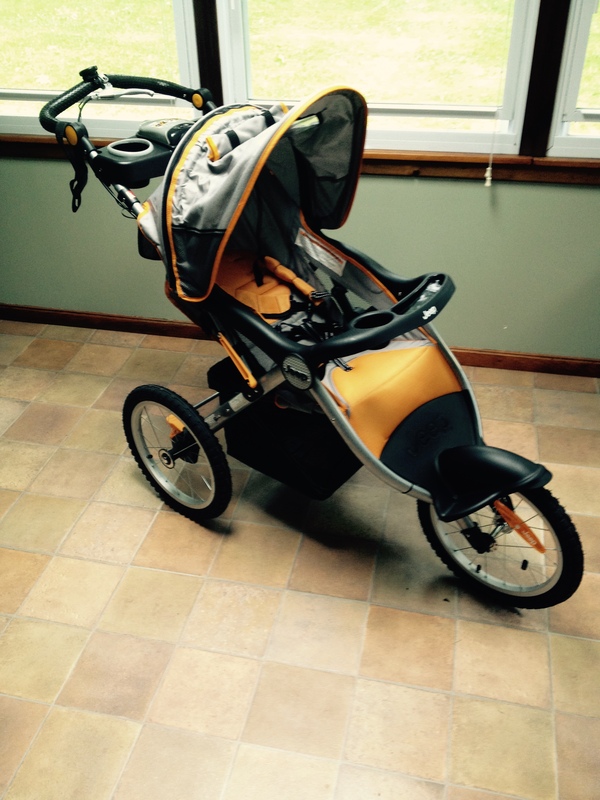 When it comes to running the baby is starting to to cramp my style… literally. Some days I am fine running & then a couple days later I have to do more of a walk/run. For instance just the other week I ran 4 miles without stopping and felt GREAT, then my next running day I had to walk the first half before I could run. I will take what I can get though & am thankful for just being able to get out and get exercise! The first main purchase we made for baby Wilks!! I am very excited about it! Working out together one morning! Mix up the oats, baking soda, and buttermilk in a bowl. Separately combine the flour baking powder, salt, & sugar. Then add the eggs & oil to the oat mixture after it has sat for about 5 minutes. Lastly, add the 2 mixtures all together & bake on a griddle! I actually made mine the night before so that it was easy to cook in the morning, plus I figured that would make the oats nice and soft as well. I also added some of our fresh blueberries to the mix which we both enjoyed! ** I never have buttermilk on hand so all you have to do is add 2 T. of white vinegar or lemon juice to 2 1/4 c. of milk and let it sit for about 5 minutes. Works swell!